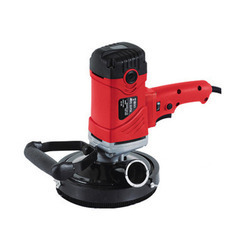 Offering you a complete choice of products which include wall chaser machine jhs-1100, electric hand sander, electric paint mixer, cement mortar sprayer machine and cement sprayer. 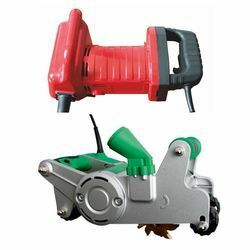 In order to gain the maximum satisfaction of our valuable customers, we are engaged in manufacturing, exporting supplying Electric Hand Sander. Electric Paint Mixer consists of a high torque motor with a robust gearbox, with electronically variable continuously variable speed. So that different speeds and power output can be selected for different viscosity materials, due to this speed control. There is no splashing of the liquids. 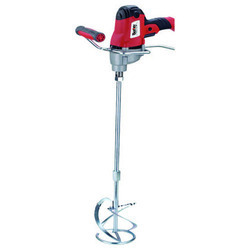 The ON/OFF switch can lock into position at any selected speed for continuous automatic operation at the selected speed.This machine is also known as Putty Mixer & Gypsum Mixer. 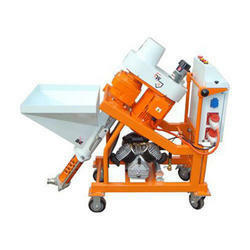 Cement Mortar Sprayers Machine is very easy to use and very efficient for mortar plastering. 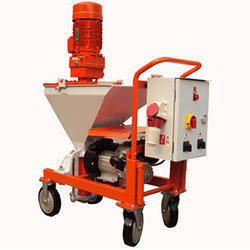 Looking for Plastering Machines ?